Democratic Representative Nancy Pelosi (D) San Francisco is nominated by New York Rep Hackeem Jeffries to be Speaker of the 116th House of Representatives. She becomes the first representative to regain her position as Speaker in 60 years. 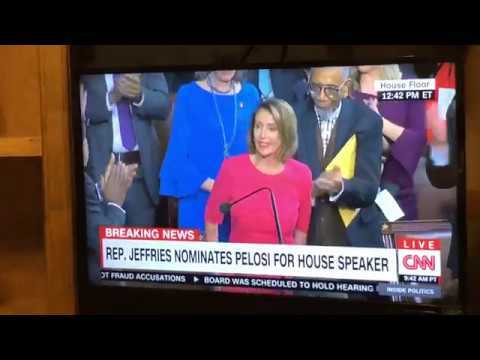 Be the first to comment on "Hackeem Jeffries Nominates Nancy Pelosi As Speaker Of The House of Representatives – News"